Parklane Pool and Spa is a service based business that has been providing Kamloops and its surrounding area with pools, hot tubs, chemicals & accessories, billiards, and darts for the past 33 years. We pride ourselves on providing exceptional service in every aspect of our business, be it pool building, repair, hot tub service and sales, or chemical and accessory sales in the retail store. 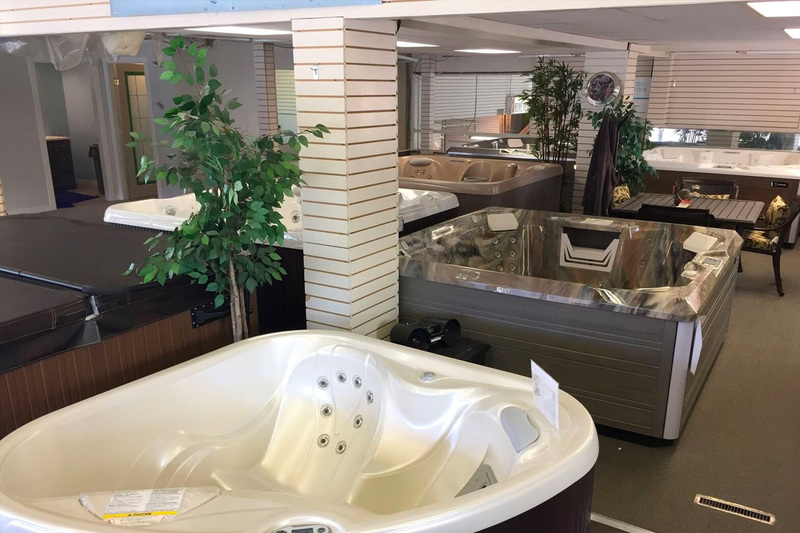 Not only do we carry Kamloops and areas largest selection of hot tubs, we have a large and experienced service department to support any warranty and service needs you might encounter. We stand behind our products. Parklane Pool and Spa offers 3 different lines of hot tubs, giving you the opportunity to find a spa that meets your particular needs. Hot Spring Spas, Coast Spas, and Cal Spas are all well known and respected manufacturers of hot tubs worldwide. You are certain to find the perfect hot tub for your family at Parklane Pool and Spa. Parklane Pool and Spa’s construction department, headed by Frank Cordonier, for the last 3 decades, has built some of the best and most beautiful pools in our area. You can count upon our knowledgeable and experienced team to build you the in ground or aboveground pool of your dreams. Let us help you turn your backyard into a home resort for you and your family. Parklane Pool and Spa has been Kamloops and area’s premier supplier of pools, spas, supplies and service for the past 33 years. In 2014 longtime employees Marion Day and Steve Ledger purchased Parklane Pool and Spa and continue to provide our customers with the quality, service and selection of products that Parklane’s reputation is built upon.